RANLife Inc. : Nearing the end of low interest rates - is it still smart to refinance your mortgage? 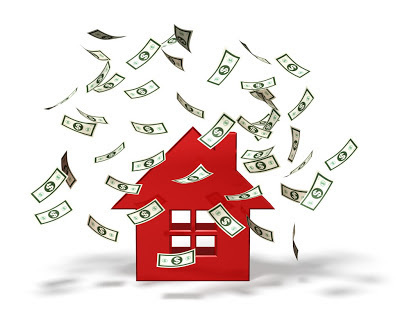 Nearing the end of low interest rates - is it still smart to refinance your mortgage? The last few years we have experienced historical low interest rates in the mortgage market. Many homeowners have already taken advantage of the low rates and have even dropped their rate to as low as 3 percent. Though it's been a long and steady recovery, the housing market is finally picking up again. Home values are going up and homeowners that were once underwater now have regained equity. All of this excitement leads to one final question, are we coming to the end of low interest rates? The simple answer is, YES. It's not too late to refinance. Prices are going up, interest rates are going up. It's best to make a decision, quick! The more rates go up, the less you qualify for. Procrastination is deadly. Rates have been low for much too long, there is no choice but for them to go up from here. Rates could go up even more and are predicted to be at 6 percent within the next year. If you are unsure on the best option, call a RANLife loan officer. Even if you don't want to drop your rate, you can still refinance to lower your term while keeping your payment the same. Check your options. New loan programs and changes in the market can make a big difference on what you qualify for. It's worth it to take five minutes of your time to talk to a loan officer and be certain on the best financial decision. Be prepared with current loan information in case the loan officer asks. Sit down and make sure you know your approximate principal balance, your current interest rate, and an approximate value for your property. Your loan officer will analyze the situation from there and let you know what you can become. With the right preparation and research, making a decision should be quick and simple. Just remember to do it fast before rates go up any higher! Please send any questions about rates, loan programs, or other loan questions to info@ranlife.com.